Wonder Woman directed by Patty Jenkins and starring Gal Gadot and Chris Pine tells the origin story of how Wonder Woman came to be. The fast paced superhero film opened with Diana (Wonder Woman) living as a child within the magical world of the Amazon. Living within a community of strong Amazonian warrior women, Diana is first sheltered by her mother and the others. Her will to fight and be strong resonates within her as her aunt tries to bring out that inner strength. Under the direction of her aunt, she trains to prepare to fight the ultimate enemy until she is ready. Diana’s world is turned upside down when she meets a mysterious stranger that nearly drowns in the Amazonian waters. Her journey of strength, self-discovery and love follows her as she travels to early 1900’s England. I really enjoyed watching Wonder Woman, I absolutely loved Gal Gadot in the starring role. I was very impressed with her when I first saw her in the Batman vs Superman film. The time sequences of the Amazonian warriors was very good. I actually wished that the entire film took place in that world. Once she crossed over to the early 1900s, I really didn’t care for that time period, so it was hard for me to get past the setting, but I knew that the director was trying to take us back to a place where we and Bruce Wayne first saw her. The film does a nice job in explaining her origins. Now I am interested in seeing what the future holds for Wonder Woman. The special effects were infused nicely and didn’t get lost in the film. The character chemistry worked well, but the score wasn’t memorable. The costumes were great and I loved the way Gal looked in the updated version of her costume. I know it will be a hit at New York Comic Con!!! This is a good movie and you will enjoy the action and excitement that it will bring!! I gave this movie 4 stars!! Check out the trailer below!! Underworld Blood Wars staring Kate Beckinsale and directed by Anna Foerster is a fast paced vampire fantasy that wraps up the long reigning war between the vampire clan and the Lycans. Selene finds herself alone and now a hunted outcast within her own community, as she tries to defend herself and protect her hybrid daughter from her enemies. A new Lycan enemy has risen from the shadows, Marius and is in desperate need to find Eve (Selene’s daughter) and use her blood to transform himself into the ultimate powerful Lycan hybrid. Selene’s ignorance of her whereabouts is deemed helpful but that does not give her a pass to live freely. Instead Marius continues to hunt her down and destroy everything in his path to get what he wants. Selene and her friend David make an attempt to seek refuge in one of last surviving vampire Covens. One that eventually appears to be linked to David and the Coven that Craven led in the first Underworld. Answers to questions of the past are finally revealed and Selene discovers that some members of this Coven are not on her side. Once again betrayed by her own kind, Selene and David head to the Artic to seek help from another ancient tribe of vampires that appear to peaceful seekers and defenders of Selene’s cause. It is there that she learns that Marius’ part in this play a more sinister role in destroying the life she once had. The final battle begins and Selene finds herself on the brink of the true death. Underworld Blood Wars was an exciting film to see. The story telling process did the franchise justice. The action sequences were classic Underworld with a few surprises that horror fans will love. The effects were technologically developed in a way that allowed the movie goer to fully appreciate the ideas being presented. The vampire world was very enticing and I must say that the overall look of the characters in full costume was beautiful. The black leather designs were unique to every character and added to the world being presented. It allowed the environment to become a character in itself. My only issue, the movie was over too fast. I gave this movie 5 stars for a fun whimsical vampire fantasy!!! As the intensity and anticipation grew over the last few months, The season Premiere of The Walking Dead unraveled like a roll of gift wrapping paper. Directed by the talented Greg Nicotero, the story continued as the wrath of Negan brought down his bat upon two of TWD’S most beloved characters. I’m still in shock over the whole thing and must say that theTWD PR team did a great job at creating such buzz for this season. The Internet was fuming with kill theories and videos about the potential victims but I must say that my own theories were inconsistent at times. I had a feeling that Glenn was going to die but I figured that the writers had other plans for Abraham. I’m surprised that the show let go of two major characters at the same time. I would like to begin with the flow of the story and the story telling process,which was done in classic Nicotero style. It was done in a way that brings the audience even deeper into the story with the realization that these events are happening to the characters. The events are unfolding through the eyes of Rick as he watches the deaths of members of his family. Glenn has been there since the very beginning so it makes it an even harder pill to swallow. 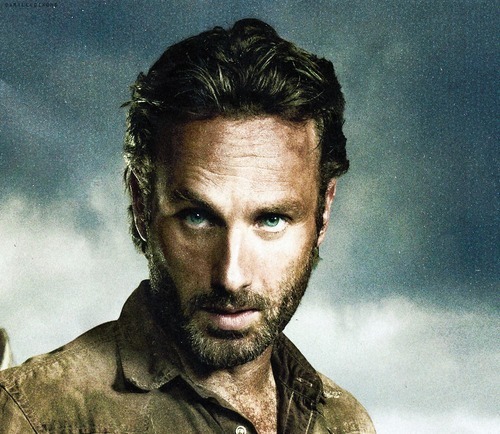 Rick is more vulnerable that he has ever been before. The kill scene spews an unimaginable sence of emotion that deeply impacts us, especially the charcters in the show. Rick and the group are heartbroken over the loss of Abraham and Glenn and it seems as though the group is torn in a way that will never allow them to heal. The evil within Negan is gut wrenching but there is something about him that makes me like him. Maybe it’s the writers or Jeffrey Dean Morgan but I’m excited to see what kind of future he will have on the show. Overall the episode was hard to watch. I can’t stand to see Rick go through this turmoil. This season is already intense. What else can I say….. 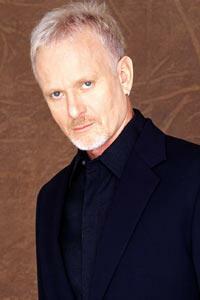 The heat is on in Port Charles as the Fake Luke doges another bullet in getting his real identity discovered. His deceitful ways go a long way, and his dramatic production at the Haunted Star could have almost been a confession. Fluke really thought that Dante was going to go up in flames along with the old house, but he was wrong. I just hope that when he leaves the party he doesn’t run into Nathan and Dante leaving the property. Now that Nathan just found Dante, Dante will spill the beans but hopefully they will make it to GH before anything or anyone stops them. Within the next few minutes the Haunted Star is expected to go up in smoke, but at this point I don’t think that anyone will be able to stop it. Jake Doe is in the process of being interrogated by Sam, which will lead her into a bigger hole, because he does not remember anything. The police department will not be any help to her because the new commissioner is also under Helena’s control. It is going to take Sam a long time to really find out everything about Jake. Sonny, Julian, and Ava are all in hot water as they battle with Carlos and Johnny. I hope that Sonny kills Johnny, but once Sonny does take the first shot, Carlos will give up, and try to convince Julian and Ava that he wants back in with them. Franco left Ava, Julian and Sonny, and is on his way to save Nina from Heather, but at this point I think Nina deserves whatever Heather is planning to do to her. Franco will probably shoot Heather, and tell Nina that he loves her. I am waiting for them to finally share a romantic moment. I hope this is the last we see of Heather. I am tired of her pointless story lines. As for Sonny and his new crew, I really hope that they can make it to the Haunted Star to save everyone, but since Johnny is in their way, I don’t think they will make it. I am excited to see how things turn out!